Well its that time of year when we dress our wienerdogs in silly outfits for Halloween. 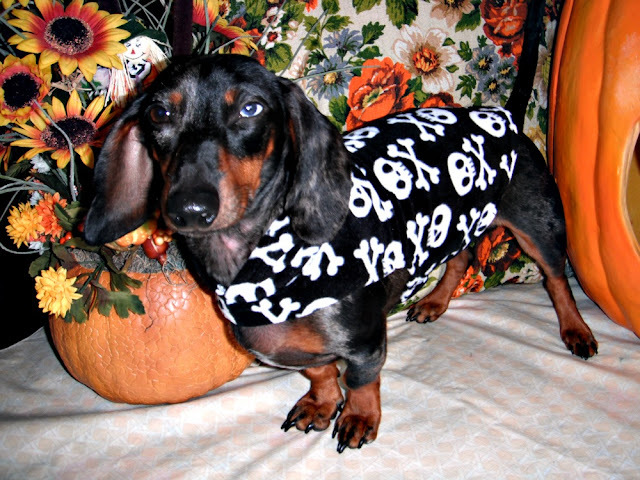 So as not to disappoint anyone we'll start a little early with Spaatz in the ever popular skull and crossbones outfit flanked by Fall colors and other Halloween things. Good to get into the "spirit" early. Sorry. Which one is the Pumpkin?